How to add sounds to your content? Record audio: record a sound, e.g. your voice, using the 'Record audio' button you find below the libraries. See the FAQ "How to record your voice" for more details. 2. Upload a sound from your computer to your Personal Objects library: click the 'Upload media' button and select an audio file from a folder on your computer. When you add music or sounds to your project, please make sure you have the legal right to use that audio! 3. Add sound using Moovly's mobile app. This Help question explains how you can use the app to record your voice or import other sounds from your smartphone or tablet to your Personal Library. For easy browsing of the available sounds or music, the list view might be more handy. When you have found your favorite audio to use in your project, select it and click the "Insert in project" button (bottom right). Once you have added a sound, it will appear in the Timeline. You can change its timing, length or volume and even apply Fade in and out effects. 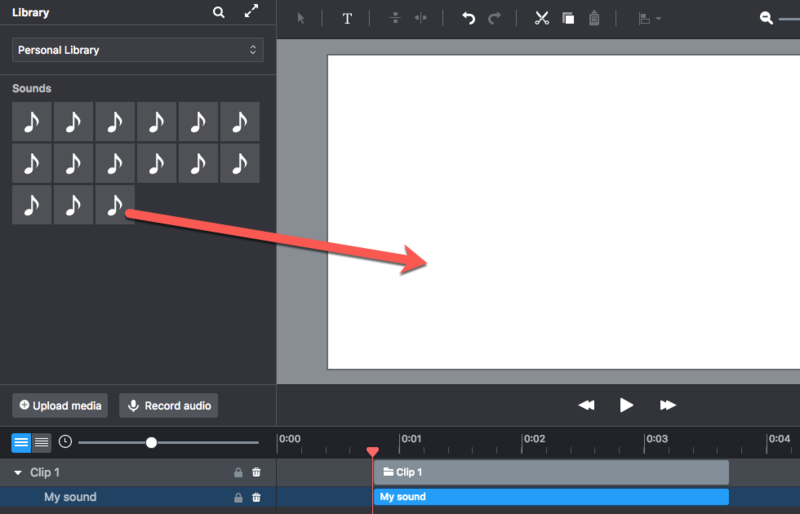 See the "How to edit sounds" FAQ for more details. We support the following audio formats: flac, m4a, mp3, wav, ogg & wma. *Royalty-free means that the audio content is provided under a royalty-free basis. In other words, you don't have to pay the composer a fee to use the content in your projects. However, certain industries (broadcasts are one) are governed by copyright/performance rights organizations (PROs). If the music composers also registered their music with a PRO, then a royalty must be paid to the PRO by the company under a separate agreement. In short, our royalty-free license does not cancel out any PRO obligations. What is the Personal Library? How to record your voice in the editor? 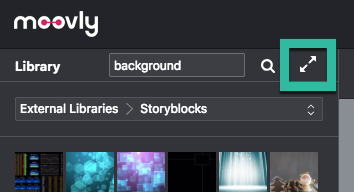 What is iStock by Getty Images? How to edit sounds in the editor?